Nice Mention in the ‘Southside Times’! A nice mention of my work in the "Southside Times" recently: When my friend Kenny Biddle (Facebook—I Am Kenny Biddle) speaks, I tend to listen. When it comes to the paranormal he has both feet on the ground and is not swayed by a good ghost story. He will listen, then begin dissecting. Most paranormal investigators are swayed by such stories: encounters by common folk of their experiences. It just had to have happened! Yet, they fail to go through the dissection process themselves. This leads to a one-sided conclusion: it happened, case closed! Kenny sees things differently and when he recommends a particular author on the subject, I’m all ears. I’ve read a lot of books on the paranormal, probably more than is healthy. 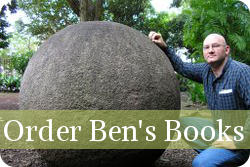 My new favorite guy is Benjamin Radford, a published author and writer for the Skeptical Inquirer. Kenny passed along an article from November/December of 2010 which, although now eight years old, still holds a lot of weight today. You see, things don’t change much in the paranormal community over the years. They never do! 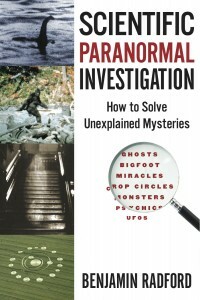 Here’s some excerpts: “Just about every ghost hunting group calls itself ‘skeptical’ or ‘scientific.’ Ghost investigations can be deceptively tricky endeavors. Very ordinary events can be, and indeed have been, mistaken for extraordinary ones, and the main challenge for any ghost investigator is separating facts from a jumble of myths, mistakes and misunderstandings. It can be very easy to accidentally create or misinterpret evidence. It’s not always clear, and investigators must be careful to weed out the red herrings and focus on the verified information.” You can read the rest HERE. You can find more on me and my work with a search for "Benjamin Radford" (not "Ben Radford") on Vimeo, and please check out my podcast Squaring the Strange!